Savannah Fiesta is one of the gorgeous doubles we grow from Joiner Gardens. Famous for their doubles, we think SF is one of the best. Definitely has a lot of evergreen blood in it but has never been a problem overwintering in southern Ontario. 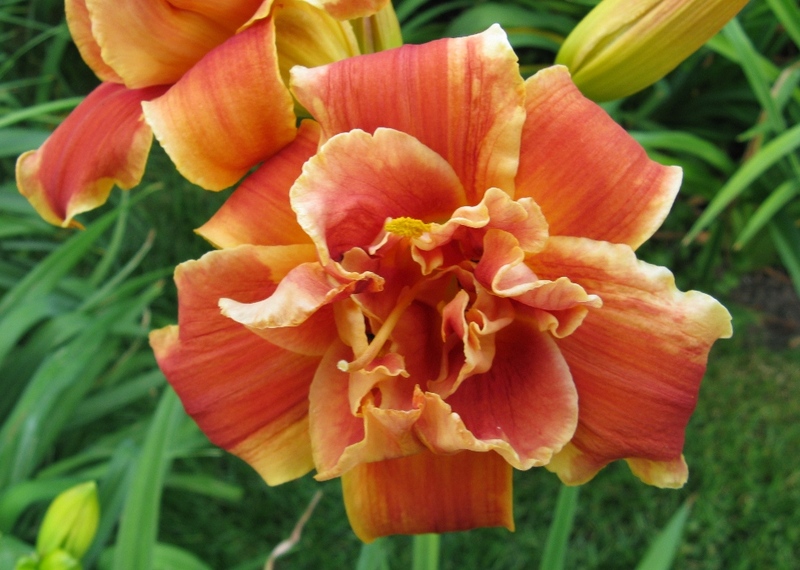 Prolific July bloom, the hot colour is definitely attention getting.